The kitchen is a place of reinvention, and imagination. It gives one the freedom to experiment with flavors. Last March 21, 2019, Phoenix Petroleum launched the Phoenix Super LPG:—-a safe, sure, and simple tool to make your cooking a lot more enjoyable. Attendees were taught by Chef JM Sunglao simple, five-minute, easy-to-make meals using the all-new Phoenix SUPER LPG. In the same event, they also introduced pop star princess Sarah Geronimo as their celebrity brand ambassador. “Ginusto ko po talagang matutong magluto. Parang ang sarap kasi sa pakiramdam na kaya mong ipagluto ‘yung pamilya mo and mga friends mo (I really wanted to learn how to cook. It feels good to be able to cook for your family and friends),” shared Sarah. “Marunong na rin po akong gumawa ng iba’tibang sauces (I also know now how to make different sauces),” Sarah quipped in between laughter. And in her journey on the joys of cooking, Sarah admits in getting some help. She admitted needing a safe and simple tool to help her---Phoenix SUPER LPG helps Sarah pursue her new passion and discover the joys of cooking. 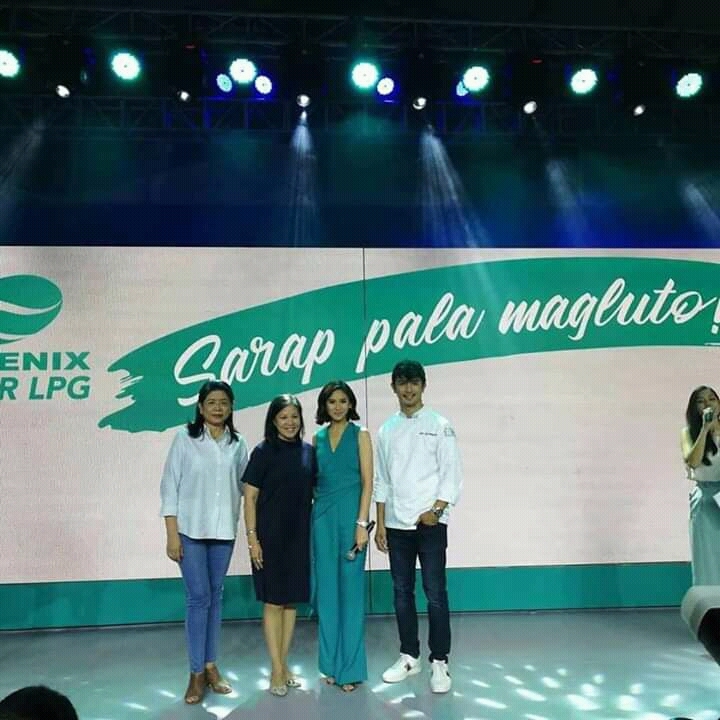 Phoenix SUPER LPG promises a safe, sigurado, and simple cooking experience. It uses a German-made SRG regulator with an inlet safety valve, a reserve indicator, and snap-on mechanism. With features that highlight safety, certainty, and simplicity, preparing food at home becomes easier. Call #SUPER (#78737) to order your own Phoenix SUPER LPG.